New York: Crown Forum, 2006. Hardcover. 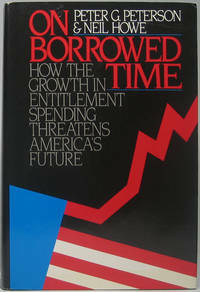 Forewords by Newt Gingrich and Edwin Meese III. Small 4to. Red and blue paper over boards with silver spine lettering, dust jacket. xvii, 231pp. Fine/fine. 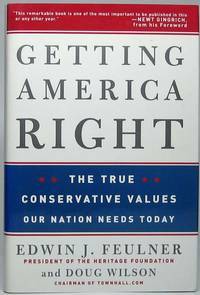 A pristine, tight second printing of this political commentary by the noted think tank president, boldly inscribed and signed by him in black fineline on half-title page: "For Bob, / Long time friend and advisor / who knows how to Get / America Right! Thank you! / Ed Feulner / Monte Rio / July 2006." Laid in is a glossy, heavy stock promotional bookmark for this title. Robert Malott (1926-2018) was a noted Chicago businessman, CEO of FMC Corporation, Republican politico and philanthropist. New York: Simon & Schuster, 1993. Hardcover. Foreword by Warren B. Rudman and Paul E. Tsongas. Small 4to. 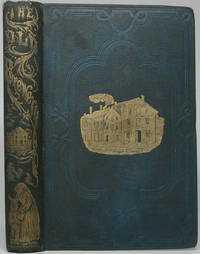 Blue cloth spine with gilt spine lettering and white paper over boards, dust jacket. 411pp. Numerous color graphs. Fine/fine. A pristine and tight first edition of this study by the noted investment banker and Richard Nixon's Secretary of Commerce (1926-2018), inscribed and signed by him large and bold in black fineline on front flyleaf: "To Bob Malott / To a great guy / With Fond / Remembrances / Pete Peterson." 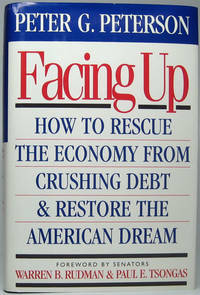 Laid into this copy is a glossy 4to article reprint from the October 1933 issue of "The Atlantic" titled "Facing Up: Why the Middle Class Must Be Clinton's Next Target" excerpted from this book. Fine, with single horizontal fold. From the library of Robert Malott (1926-2018), noted Chicago businessman, CEO of FMC Corporation, Republican politico and philanthropist. San Francisco: Institute for Contemporary Studies, 1988. Hardcover. Small 4to. Black cloth with silver spine lettering, pictorial dust jacket. xii, 430pp. Tables, charts. Fine/near fine. Superb, tight first edition of this study co-authored by Peterson (1926-2018), noted investment banker and Richard Nixon's Secretary of Commerce, who boldly inscribes and signs the front flyleaf in black fineline: "To Bob Malott / With great respect / and gratitude for / your support of our / Budget effort / Pete Peterson." From the library of Robert Malott (1926-2018), noted Chicago businessman and CEO of FMC Corporation, Republican politico and philanthropist. New York: Harper & Row, 1962. Hardcover. 8vo. 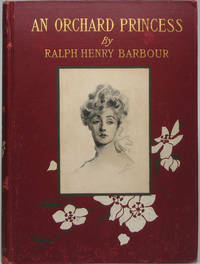 Orange pictorial paper over boards, pictorial dust jacket. 101pp. Frontispiece, illustrations. Very good/very good. Tail of spine binding bumped; jacket a tad edgeworn, with chip at spine tail. 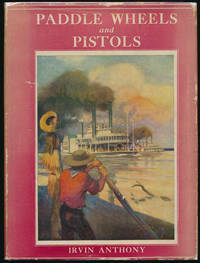 A tight and nice later printing of this slim travelogue by the famed "Little House on the Prairie" author (1867-1957). New York: N. Watson, 1855. Hardcover. Small 4to. Heavily blind-embossed full calf with extensive spine gilt and decorations. x, 861pp, 48pp. Two frontispieces (one tissue-guarded with secondary "A Pictorial History of the Western World," Hartford: House & Brown title page), numerous illustrations (some full page), marbled endpapers. Very good. Binding a tad edgeworn (mainly at spine head/tail), though spine gilt largely bright and internally tight and nice. A tight and nice later printing of this massive comprehensive history, by the historian better known as "Peter Parley," first published in Hartford in 1845. SABIN 27916. New York: Harper & Row, 1972. Hardcover. 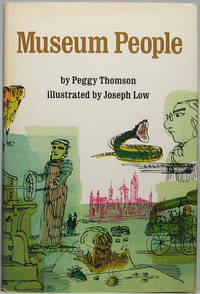 Edited by James R. McGraw. 8vo. Lavender cloth spine with blue lettering and blue paper over boards, pictorial dust jacket. ix, 335pp. Frontispiece, illustrations. Near fine/near fine. 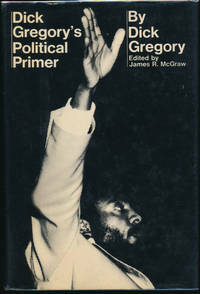 A tight, attractive first edition of the African-American comedian, civil rights activist and social critic's commentary on all things political. Philadelphia: J.B. Lippincott Company, 1905. Hardcover. Illustrations by James Montgomery Flagg. 8vo. Burgundy cloth with gilt lettering, ivory and green pictorial stamping and pictorial paper plate on front board. 2199. 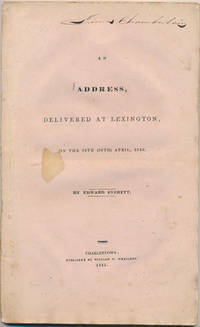 Color frontispiece, 3 full-page called-for color plates, alternating green and sepia tone border decorations (floral or pictorial) on every text page. Very good. Binding cloth "flecked" mainly on rear board and preliminary leaves foxed, else internally near fine. A tight, attractive first edition of this mainstream fiction by the incredibly prolific boys' series book adventure novelist -- here with lovely color plates by the famed "I Want You" illustrator. New York: Stringer & Townsend, 1854. Hardcover. 12mo. Teal green pebble-grained blind-embossed cloth with gilt spine lettering and extensive pictorial spine gilt and front board pictorial giltstamping. xiv, 304pp. Frontispiece, 5 full-page engraved plates. Good plus. binding a tad edgeworn and darkened; internally quite tight, with occasional sporadic bits of foxing. A tight and fairly attractive first edition. This early, Hull House-type effort at social reform was built on the site of a late 18th century brewery in one of New York's then-roughest and most colorful neighborhoods and sought to address all manner of social ills. The ornate gilt lettering, decorative scrolls and pictorial giltstamping on the spine are bright and striking, a lovely example. Washington, DC: United States Government Printing Office, 1958. Paperback. Small 4to. Wrappers, stapled. vi, pp. 2081-2171. Very good. Outer wrappers (only) lightly worn and age toned, else near fine; faint single vertical crease throughout. A tight and attractive first edition of these March 18th, 1958 public hearings, featuring interviews with eight "persons of interest," beginning with Armando Penha, an undercover FBI agent who finagled his way into a variety high-level positions with the Communist Party in New England. Fascinating reading. To label this impossible-to-categorize figure a ne'er-do-well would be an understatement: He actually was a Union officer with the 1st Tennessee Artillery (supposedly commended for bravery and later serving with the 64th Illinois Volunteers), though pre-war he was a convicted felon who forged his own pardon and during the war he was charged with counterfeiting Bank of Tennessee notes; his long and checkered career as a con man included passing himself off as a physician ("Dr. Clifton") and a millionaire and telling correspondents the Egyptian government employed him under the name Osman Bey and the Turkish government under the name Osman Pasha.... the stories and list of hoaxes goes on and on. Boldly penned "R. Clay Crawford / Late Col 1st Tenn Art." in brown ink on a 4½" X 1" slip, n.p., n.y. Very good. Quite scarce and unusual.